A recent Swiss initiative tried to stop the speculation with food («Keine Spekulation mit Nahrungsmitteln») and failed at the polls. With the CROWD CONTAINER, however, we are prototyping the future of commodities trading in a way that is changing the rules of the game even more radically than planned by the recent political advance. A couple of years back, I was working with smallholder farmers in South-India and I realized that the current trade system is not working for the producers. Even the many certification schemes that try to fix the social and ecological shortcomings of the system are not able to address the underlying causes. 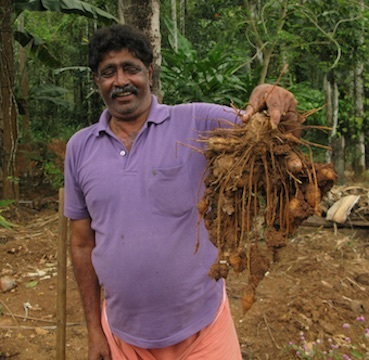 Once I asked Thomas, a farmer and member of the cooperative Fair Trade Alliance Kerala, why he was growing more than twenty different crops on his small plot of two acres. He told me that the different crops are growing in a natural equilibrium. Almost like permaculture, the different plants are part of an ecosystem, which is much more stable than any monoculture. In addition, cultivating a large variety of crops is also the best way to manage the risks of fluctuating prices and increasingly unstable weather conditions. 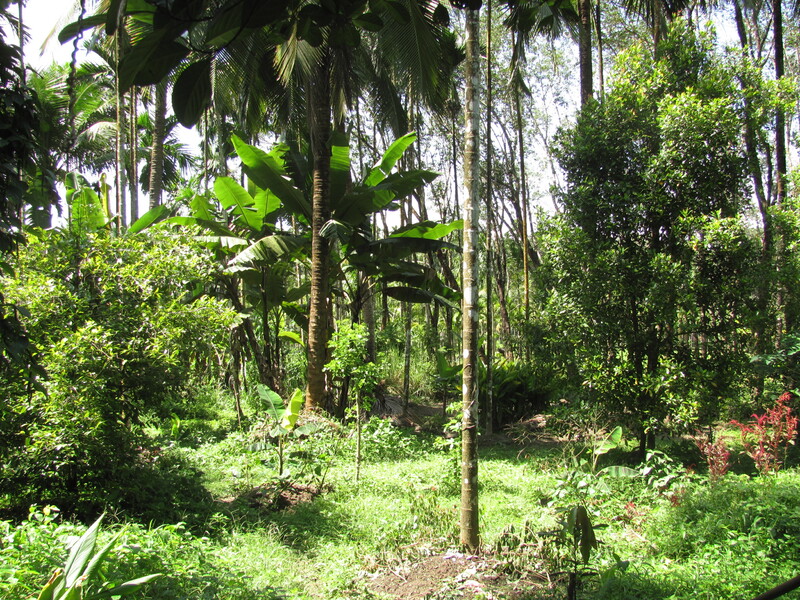 The mixed crop plantations, which include cash crops as well as food crops for own consumption, can often save the farmers livelihood in times of hardship. However, the dynamics of international commodities trade push the farmers in the opposite direction. The ever-increasing pressure for standardization is a strong incentive to specialize on only one crop. Large companies control the trade and invest huge sums in this business. The risks they are taking force them into speculation, which is a major cause for the boom and bust cycles that affect agriculture. And of course, it has devastating effects on the farmers! With the CROWD CONTAINER we are directly addressing these challenges. Together with a group of solidary consumers we enable you to pre-order the goods directly from the producers. Thereby you assume sharing the risk with all the other stakeholders in the supply chain. 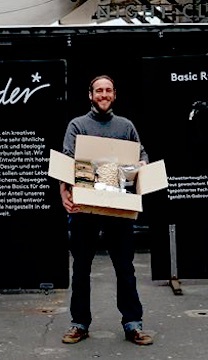 In addition, by booking your farm box with a mix of spices, cashews, coffee, rice and coconut oil you also support Thomas and the other farmers to continue growing food on their beautiful mixed crop plantations. And we, at CROWD CONTAINER, can focus on our core business as a service provider and bring these wonderful products to you! Become part of this new model for trade and order your farm box from Kerala now on WeMakeIt and spread the word about our crowdfunding campaign. As founder of the CROWD CONTAINER, together with my team I am developing a new direct marketing channel for sustainable agricultural products. Based on my experience in ethical trading and value chain development, I am also offering advice to companies and organizations to promote inclusive business with smallholder farmers from around the world.